Happy April! Don't worry, we're not playing an April Fool's Day tricks on you with month 3 of the Bella Skillbuilder blocks today! With the weather warming up and these sweet fruits being right on-trend in the design and decor world, pattern 3 is perfectly named Pineapple! Are you just joining in the fun of the Bella Skillbuilder? Find previous month's patterns, FAQ, and so much more on our Sew Along page! Are you ready to get started on month 3? 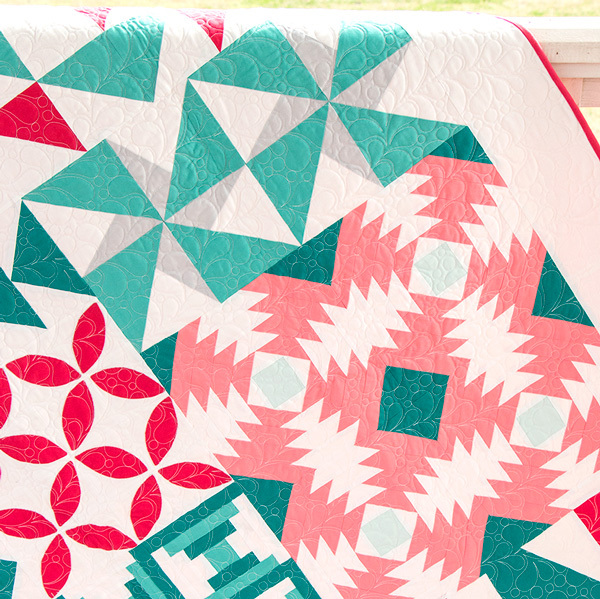 Let's grab our Bella Skillbuilder Quilt Kits! Kimberly and Sherri McConnell from A Quilting Life walk you through the Pineapple blocks in this YouTube video! Be sure to download the free April 2017 pattern! Some of our quilty friends have hopped on the Bella board to learn some new quilty tips and tricks! Be sure to check out their blogs throughout the next 9 months for more Skillbuilder fun!